It’s everywhere. Around every corner you turn and street you head down. It appears in television and radio adverts, and is plastered in some shape or form on just about any commercial space. Healthy food is in – and it has never been bigger. Across Europe, and in fact the world, the number of vegetarians and vegans is growing rapidly. According to the Vegan Society, the number of vegans in the UK has more than tripled in the last decade; in Sweden, almost 10 percent of the country now identifies with a meatless or vegan diet, while in Germany there are some seven million adherents. A recent survey conducted by Danish supermarket Coop revealed Danes are buying less meat, with a continued decline expected. Across in Spain, the number of vegetarian, vegan or healthy restaurants listed by the Happy Cow website has surged from around 350 in 2011 to over 1,000 today, with other countries in the region showing a similar upswing. A greater understanding of the reality of factory farming and the environmental impact it has is leading more people to abandon their carnivorous ways. That said, the trend extends further than virtues of morality and empathy; rising numbers are cutting back on animal products out of the simple desire to be healthier, while there is also a growing distaste among the public for any kind of fakery within their diets. Along with the greater desire for natural food, the variety of the ingredients themselves – particularly those with added health benefits – continues to surge. As such, globalisation and ease of communication can be held responsible, in part, for the current popularity of exotic superfoods, from chia seeds to quinoa. However, the biggest culprit is an endemic crisis that permeates most of the world’s nations. “Global obesity and the rising rates of associated diseases is a big problem”, said Ewa Hudson, Head of Health and Wellness at Euromonitor International. The 2013 Global Burden of Disease study reported some 2.1 billion people, or 30 percent of the global population, were overweight or obese at the time – a figure that had increased by around 28 percent in adults and 47 percent in children over just three decades. Moreover, obesity and associated ailments, such as diabetes, heart disease, hypertension and high cholesterol, are no longer confined to the affluent West, with 62 percent of those living with obesity now hailing from developing countries, according to Nielson. “As the numbers grow, more and more consumers are aware of the need to do something about their weight in particular, as weight management is the most important preventative step that a consumer can take when looking after their health”, Hudson explained. With more people around us affected and even incapacitated by diet-related illnesses, individuals are now taking far greater responsibility when it comes to what they eat. No longer are we thoughtlessly stuffing ourselves with highly processed food, additives, preservatives and refined sugar. “Consumers really want products that are natural and nutritious”, Hudson added. Further intensifying this trend is the fact that those eliminating various ingredients from their diets often do not do so out of choice; the number of people with gluten and lactose intolerances is rapidly rising, with ailments such as irritable bowel syndrome and coeliac disease now common among the general population. The percentage of infants with an allergy of some kind is between three and seven percent, while the latest figures released from Nestlé reveal this figure may reach 25 percent before long. Various contributors can be identified as triggers for these types of ailments, from the vast assimilation of antibiotics, to hereditary and environmental factors. “There is little we can do about our genetic predisposition – what we can do is look after what we eat”, said Hudson. In response, the market is now offering an expanding array of gluten-free and non-dairy alternatives. The choice of milk alternatives alone is astounding, from almond, cashew, coconut and flax, to hemp, oat, rice and sunflower – and the list continues to grow. And, of course, there is soya, which is offered in pretty much any form one can imagine as a healthy substitute to all types of animal products. Gluten-free bread, pasta, biscuits and cakes have also become the norm in shops, while creative ways to replace pasta and rice, such as spiralised courgettes or blitzed cauliflower, have become a huge hit even for those without intolerances. As such, food manufacturers are under mounting pressure to reformulate their products in order to reduce the disconcerting levels of harmful components. “Companies are falling all over themselves to remove artificial ingredients, reduce sugar and salt, provide organically produced ingredients, and source meat and dairy from places that treat animals humanely”, Nestle said. They are also moving towards so-called fortified foods: products offered with added health-related benefits, such as being high in protein and fibre, or having supplementary vitamins and minerals. As explained in the 2015 We are What We Eat report by Nielsen, which surveyed 30,000 people in 60 countries: “When it comes to the foods we eat, consumers are going back to the basics.” The study found that, for 43 percent of respondents, desirable attributes in foods, such as being fresh, containing natural ingredients, not containing genetically modified organisms and being minimally processed, are very important. Indeed, 31 percent of European respondents said they were willing to pay premium prices for natural foods. Should this shift continue at its current rate, Euromonitor predicts the global health and wellness market will swell to $1trn by 2017. The growing popularity of wholesome, homemade food is further evidenced by the proliferation of cookery shows, recipe books and the growing status of the celebrity chef. But this fascination with food does not stop at the recently reclaimed popularity of preparation. The volume of documentaries, books and articles giving damning appraisals and insights into food production and big food companies shows our mounting curiosity about the industry. We are certainly more clued up about exactly what goes on behind the scenes in the industry – and we are often upset by what we see. In tandem with the desire for natural food, consumers are seeking new ways to ensure what they eat is packed with vitamins, nutrients and everything their bodies need, not only to survive, but to thrive. Given the growing link between various cancers and what we consume, individuals are seeking foods that are high in antioxidants in the belief they will stave off potentially fatal menaces. 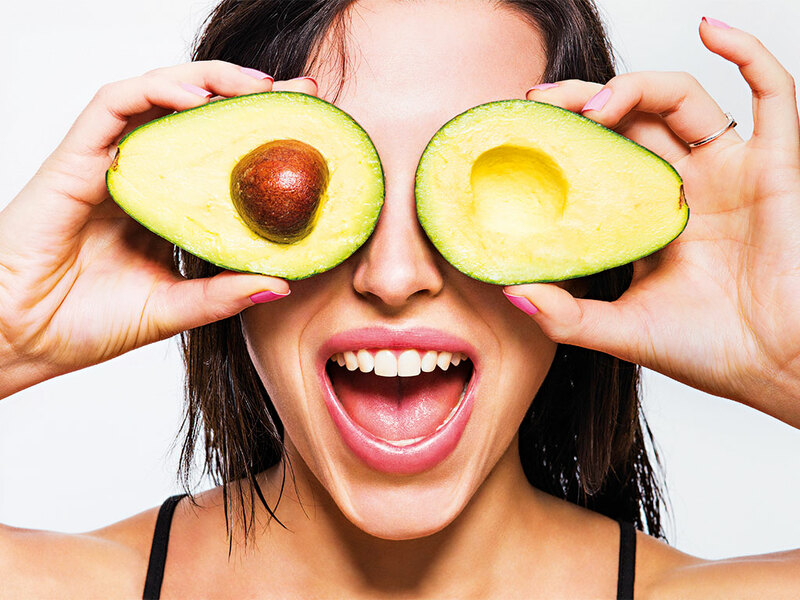 Accordingly, the variety of super health foods is expanding at an incredible rate: avocados have become the number one photographed ingredient on Instagram, quinoa salads are available even at express convenience stores, and organic raw cacao bars with goji berries are now on newsagent shelves for those seeking a convenient health kick. Far greater awareness about what we eat, and the ingredients to look out for and avoid, has made the purchasing decision increasingly complex. According to the Nielsen report, three quarters of those surveyed said they carefully read packaging labels, while sales of products with claims of being natural and organic have grown by 24 and 28 percent respectively within a period of just two years. When perusing supermarket aisles, consumers now look at levels of fat, sodium and sugar, the presence of preservatives and additives, health benefits and the virtues of the ingredients themselves. The ‘clean label’ trend has taken on a life of its own. Adding further to the deliberation people now go through is whether a product has been sourced or made locally, in addition to its social and ethical impact, and the sustainability stance of the brand itself. This need for transparency is driven even further by the notorious deficit that has earned the industry an unsavoury reputation. Editorial disclosures and documentaries, such as the Academy Award-nominated Food, Inc., have shed light on certain food manufacturers’ unscrupulous manipulation of the public, making consumers exceedingly wary of the industry as a whole. At this point, in which information assimilation has become as widespread and rapid as it has, food producers are under increasing pressure to implement (or make clear that they already implement) the values that matter to consumers, while presenting them with food that is what it says it is. While offering nutrient-packed foods to the masses is wonderful for their health, the trend for exotic fruits, nuts and vegetables is not so wonderful for the planet. For the most part, Europe’s climate is not conducive for the cultivation of tropical crops, so a lot of popular products are shipped great distances around the world, leaving a massive carbon footprint in their tracks. At the same time, the farming of certain plants outside their natural environment requires vast amounts of water. For example, 95 percent of the avocados eaten in the US hail from California-based producers, even though it takes the drought-ridden state over 74 gallons to grow just one pound of the green fruit. Such cases raise an ethical dilemma between eating well and the environmental damage that can inflict. And this dilemma is becoming increasingly complex; although it is logical that exotic foods come with a higher price tag than their more humdrum cousins, the health food craze as a whole is pricing out a large portion of the general public. For instance, organic meat, fish and vegetables are notoriously more expensive than their chemical-containing counterparts. Many people with low incomes who work long hours to feed their families neither have the time nor money to reach for anything but the cheapest, quickest available option to them – which is, more often than not, fast food or ready meals. These foods, however, with their excessive levels of salt, sugar and fat, are a huge hazard, and undoubtedly prop up rising levels of obesity, particularly among children. Moreover, obesity levels are highest among families that are socioeconomically disadvantaged, as they are the most vulnerable to being caught in a cycle of eating low-cost, low-nutrition foodstuffs. Ultimately, as long as the prices for fresh whole foods remain considerably higher than extremely convenient junk food, the choice for many is likely to remain with the latter. Changing this, and making healthy food an option for all, is a responsibility for the entire industry. Unquestionably, the issues at play here are far greater than can be resolved within a few short years, as the shift needed when it comes to food is seismic. At present, some big food companies have streamlined their factories and processing plants to the bare minimum in order to raise animals and produce foods at the lowest possible cost, and thus ensure the highest possible margin for such relatively cheap commodities. In some extreme cases this can involve cramming animals into confined and sometimes filthy pens, which in turn requires they are pumped full of antibiotics to ensure they live to the point of slaughter. Vegetables and fruit are often far from ‘clean’ either, with some having been sprayed with petroleum-based contaminants and pesticides to guarantee they survive the crop cycle. They are then sometimes sprayed with more chemicals to last the long journey to the supermarket, while arbitrary best-before dates cause many to throw away perfectly edible food in an endless cycle of purchase and waste. And this nightmarish scenario can involve a whole lot more processes and chemicals when it comes to the manufacturing of secondary foods, such as cakes, snacks and countless others. Even from a purely financial point of view, given the alarming and rising rates of disease, allergies and obesity affecting us all, the cost to individual economies is huge. Ultimately, the impact to an individual company or household can be disastrous. Governments, therefore, must step in to educate, create rules and regulations that improve farming conditions, reduce the toxins used in food production and support the consumer trend for natural foods. We have come a long way in the past 100 years, but in terms of our food, thing have gone in the wrong direction. Genuine and all-encompassing change will take time, a lot of resources, political will and solutions to the challenge of expanding populations, but the alternative is far more costly and cruel. Thankfully, though, the food revolution has begun.